The biggest characters, the best stories, and the most iconic moments. 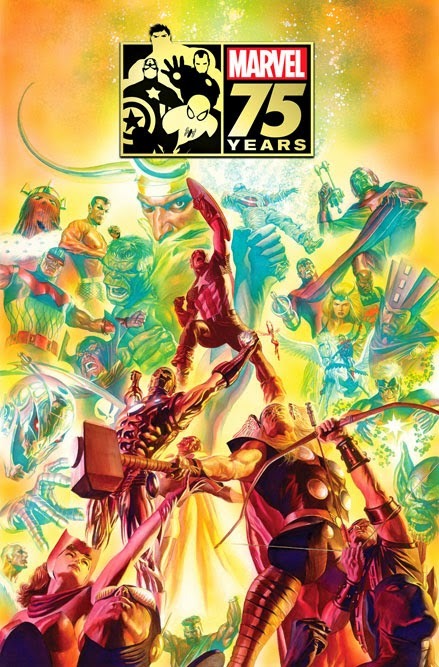 Celebrate over seven decades of Marvel myth-making with September’s commemorative MARVEL 75TH ANNIVERSARY MAGAZINE, a fitting tribute to the storied history of the House of Ideas! 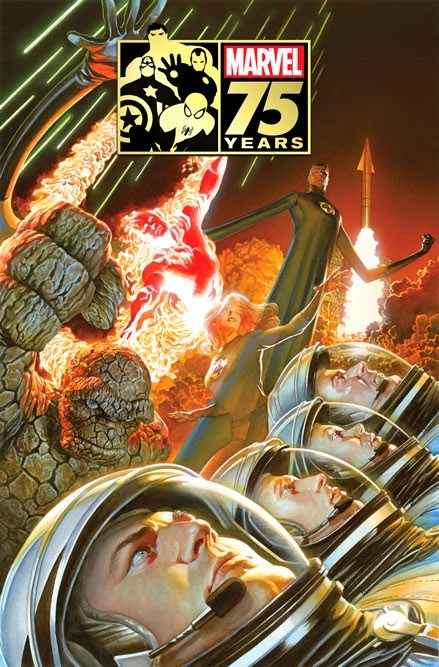 Featuring a look back at the comics that started it all, and a look forward at the universe they spawned, this keepsake edition is not to be missed by any mighty Marvel fans True Believers! In 1939, the release of Marvel Comics #1 saw the Human Torch, the Sub-Mariner and more unleashed into the world for the first time. Now, seventy five years later, Marvel Comics has grown to become the home to some of the most recognizable and beloved fictional characters ever known. Now, take a journey from Marvel Comics #1 all the way to All-New Marvel NOW! 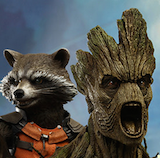 as you experience over seven decades of Marvel history! Hear from two of the most legendary creators in Marvel history with new interviews from both Stan Lee and Walt Simonson! Witness the birth of Marvel Comics with a new feature exploring the early days of the Marvel Universe. Experience the artists of tomorrow with a gallery featuring Marvel’s rising stars, the All-New Young Guns! Take a deep dive into the history of Marvel events with a new timeline stretching from the Kree-Skrull war all the way to Original Sin! And much, much more! 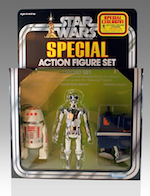 "Over the last 75 years, Marvel Comics has spawned blockbuster movies, televisions shows, toys, video games and more," says Editor in Chief Axel Alonso. "We're extremely proud of the legacy that over seven decades of storytelling has brought us and we want to celebrate the milestone with our greatest supporters – the fans." 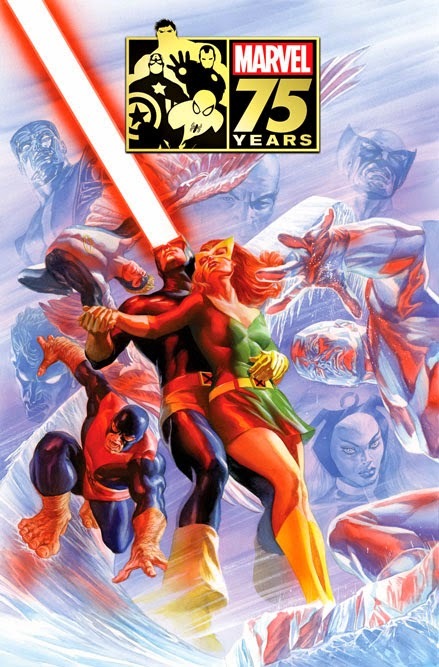 All retailers will have copies of the standard edition on hand, and the MARVEL 75TH ANNIVERSARY MAGAZINE is also available in a series of three Limited Edition Special Keepsake variant covers featuring the Avengers, the X-Men and the Fantastic Four – all gorgeously rendered by legendary painter Alex Ross! 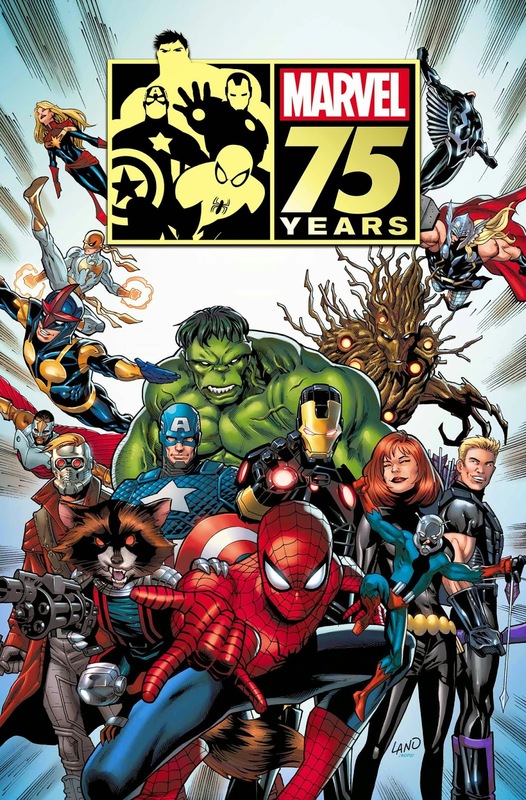 So face front True Believers – and prepare to relive 75 years of greatness when the MARVEL 75th ANNIVERSARY MAGAZINE hits comic shops this September!